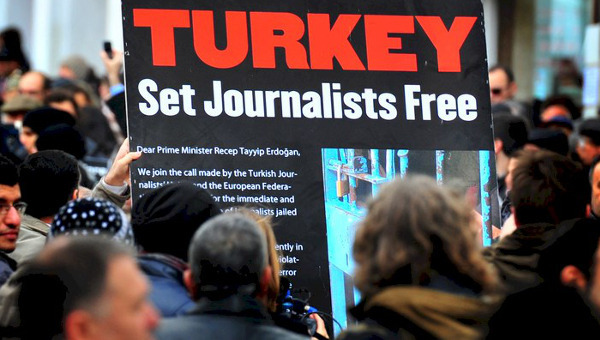 As cultural workers, unionists and academics working in Toronto and Canada, we strongly condemn the continuing harassment and sentencing of academics and students charged by the Turkish state with “propagandizing for a terrorist organization” (Article No. 7/2 of Turkey’s Anti-Terror Law No. 3713). Over two thousand academics in Turkey signed the Academics for Peace statement, “We will not be a party to this crime,” which criticized military actions in the Kurdish regions of the country. So far, 141 academics have received prison sentences ranging 15 to 36 months (for sentences of less than 2 years the verdict is suspended for a period of five years during which the defendant is to refrain from committing further ‘crimes’ – a sentence of political silence). Of these decisions, 37 are being appealed, with Professor Füsun Üstel, of Galatasaray University in Istanbul, recently being the first among them to be decided, with the 15 month prison sentence handed down serving as a dangerous precedent. More than a 1000 signatories are still awaiting their cases to be decided with increasing sentencing risks for their trials. 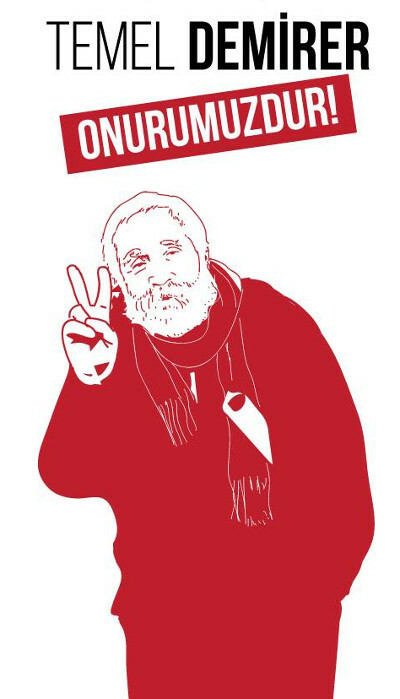 We call upon the Turkish government to immediately suspend the trials of all signatories to the Academics for Peace statement, “We will not be a party to this crime.” We call upon the Turkish authorities to immediately exonerate Professor Üstel and the other 141 academics sentenced to prison for exercising their rights of citizenship to petition the government. We express our solidarity with the academics and students who are targeted by the regime in Turkey for exercising their freedom of speech and academic freedom and we call upon academics around the world to use all available means to support them, including freezing academic collaborations with complicit higher education institutions and universities that deliberately target academic freedom. We call upon the Canadian government and Parliament to intervene on their behalf and to provide permanent stable funding for ‘Scholars at Risk’ programs at Canadian universities. Below are the cases of three Turkish intellectuals currently being tried on ‘crime of conscience’ in Istanbul and Ankara. 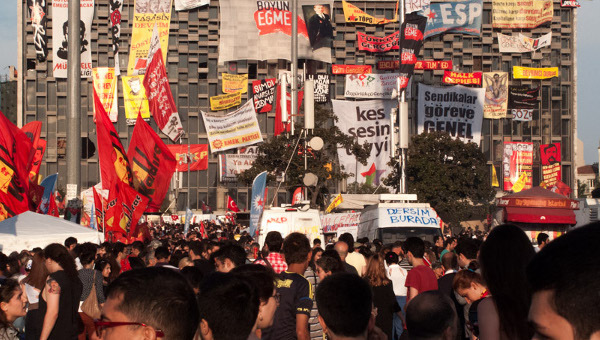 The Socialist Project offers our solidarity and support for these vicious and arbitrary attacks on these peacemakers seeking an alternate and just future for the Turkish and Kurdish peoples. Temel Demirer is Being Tried Once Again! 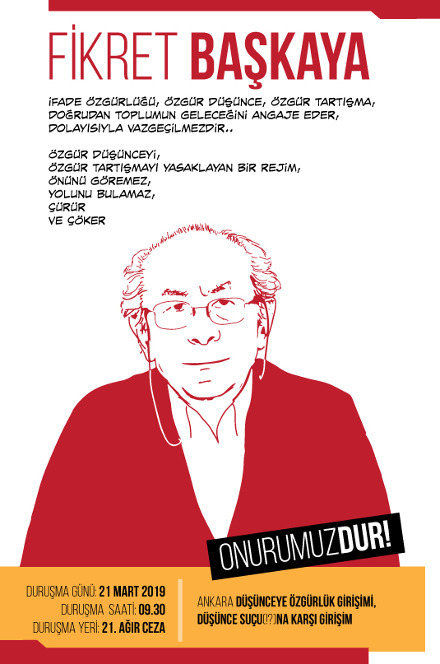 Temel Demirer, a communist writer of Turkey is once more before the judiciary. On July 20, 2017, he delivered a speech during the commemoration of the Suruç massacre where 33 young people heading for Kobane as a mark of solidarity were killed by an ISIS bombing; pointing to Turkish state’s responsibility for not providing security preventions. That’s all! There is no single sign in the indictment indicating an investigation by the public prosecutor as to Mr. Demirer’s participation to any event really organized by a “terrorist organization” nor as to what account a statement about being comrades to Paramaz Kızılbaş should be considered a crime. Only “copy-paste” quotations from police reports: a practice we now are acquainted from the trials of so many people accused on political terms. Article 215 of Turkish penal code prescribes punishment for the “praising of criminal acts” on the condition that the praising brings about an open and immediate threat to public order. But the indictment does not state on which “open and immediate threat” was detected during or after Mr. Demirer’s speech. Lately, thousands were tried and most of them were sentenced on absurd charges advanced by the police forces, transformed into “copy-paste” indictments by public prosecutors and into verdicts by judges. The judiciary system should be more serious if it aims to be worthy of people’s respect and trust. Solidarity with Temel Demirer against this straitjacket which is a threat to us all! Date of hearing: March 21st, 11.05 a.m.
Place of hearing: Anatolian Palace of Justice, 33rd Penal first instance courtroom. The academicians who had signed on Jan. 11th 2016 declaration on the Kurdish question in Turkey entitled “We Will Not Be a Party to this Crime“ and whose number has ultimately reached 2,212 are being sentenced to imprisonment one after another for making “propaganda of the terrorist organization” and for riveting it with a second statement on 10 March 2016. The Indictment of the Prosecutor endeavors to justify this “crime” by stating that this declaration derived from a speech by KCK Co-Chairperson Bese Hozat on 27 December 2015. Now it’s time to go to court for Baskın Oran. Prof. Oran, at the first stage, had very briefly stated in writing that he signed this text that totally falls within the scope of freedom of thought and expression, to help establish the right to live in peace in the country. 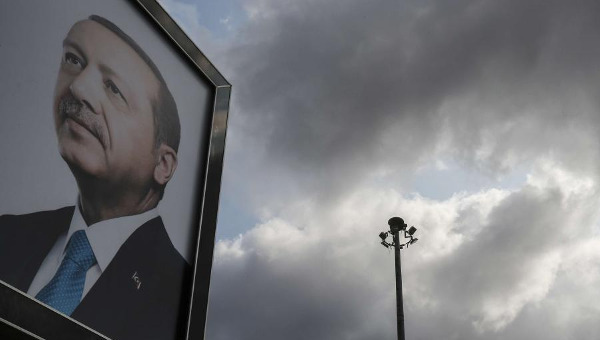 He added that questions like “Do you think PKK is a terror organization?” posed to him by the Prosecutor’s Office were clearly in violation of the principle stated in the Turkish Constitution, Art. 25/2: “No one shall be compelled to reveal his/her thoughts and opinions for any reason or purpose; nor shall anyone be blamed or accused because of his/her thoughts and opinions.” Moreover he said that he completely rejected the alleged accusation. The indictment of the Prosecutor’s Office concerning Baskın Oran was accepted by the Court along with the indictments of other academics. 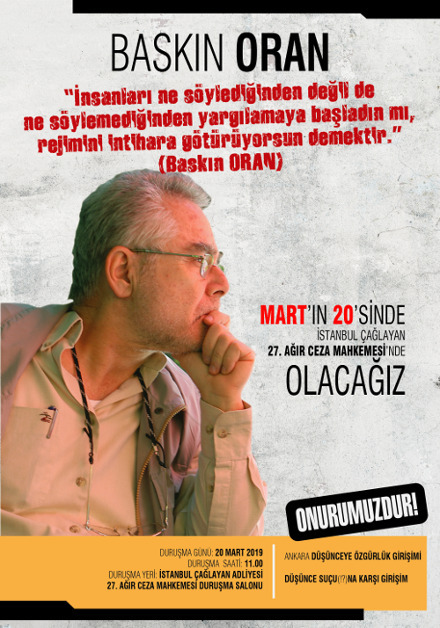 Date of hearing: March 20th, 11 a.m.
Place of hearing: 27th High Criminal Court in İstanbul/Çağlayan. The state is a criminal gang. It cannot exist without an ‘enemy’ and it owes its existence to the existence of its enemy. So, it is forced to create and recreate an enemy. For this reason it continuously appeals to the concept of terrorism. When necessary, the state’s agents decide what words and concepts will mean, but, in class societies, words and concepts that have the same meaning for everyone are impossible. The state decides what terrorism is and who is a terrorist and does what is necessary. The state claims it is waging a struggle against crime and organized crime, but the actual creator of both crime and criminal is the state itself. It proceeds by impoverishing wide sections of society, by dispossessing them. It is a vehicle for the power of the propertied classes and is at their service. Its principle is to render the small thieves ineffective so that the big thieves (the propertied classes) can steal even more. Anyone who has been to prison will tell you: you don’t encounter big thieves there. The only path of struggle for a people, a society, an exploited – oppressed – belittled social group, an ethnic identity, a belief group, or individual subjected to violence, to terrorism, is to resist. Whoever is under attack has an ineluctable right to resist. For when a person resists they are free, when they don’t resist they are slaves. When they do resist, however, they find the force of the state before them (with its torturer, its police, its gendarme, its prosecutor, judge, prison and executioner) and they are denounced as murderers and terrorists. When the blacks of South Africa set up the ANC under Mandela’s leadership to fight the racist regime, not only the South African regime denounced them as terrorists, but also the United States. France invaded and colonized Algeria in 1830. The Algerian people resisted French imperialism for 132 years until they won independence in 1962. They were tortured, killed, starved and throughout this period the colonialist French called them terrorists. So how did they legitimize their own continuous terror? They claimed that they had brought ‘civilization’ that they had ‘made them part of civilized society’. In fact, nothing changes on the Western Front. Now, too, don’t they say that they are bringing ‘democracy’, ‘freedom’ and ‘peace’. When the United Nations voted on Algerian independence in 1962, the Republic of Turkey voted with the French colonialists. In 1955 the Bandung conference in Indonesia brought together peoples who had won their independence and those still struggling for it. At that conference the delegation from the Republic of Turkey lobbied for the colonialist-imperialist camp. Whenever oppressed people and the colonialist-imperialist camp confront one another, the Republic of Turkey has always taken sides with the colonialist-imperialist camp. In fact, they had colonized the Kurds themselves and new perfectly well which side they were going to take. The state of the Turkish Republic for almost 100 years has been terrorizing the Kurds. Before they started using the term terrorist, they use to call Kurds who were resisting, bandits, robbers, ‘mountain Turks’. Now they call them terrorists. This is the way it goes. Whoever demands their rights is guilty and a murderous terrorist. The existing ideological slavery obscures the real terror and the identity of the real terrorist. I wonder if anyone has any idea about the number of people killed by state terrorism as compared to the numbers killed by the resistance fighters denounced by the state as terrorists? Has anyone bothered to make this comparison? Is no-one concerned that, in the period since the Second World War (1945), the civilized Western Powers have killed 50-55 million of the “Wretched of the Earth”? Is there a greater terrorism that this? Why is what the USA and the NATO camp have done in Afghanistan, Iraq, Libya, Syria and so one not identified as terrorism and those carrying it out as terrorists? It is a shame that people somehow cannot free themselves from thinking and behaving like the state and as the state wants. Ideological slavery prevents reality from having any influence. In the political arena, the media and academia (the education system as a whole) shapes peoples’ universe of thought, or to be more accurate, destroys it. For example, 49.2 per cent of the U.S. population believes that the Palestinians invaded Israeli territory! What is the meaning of the votes for Senate and for the House of Representatives, for local elections, of people who believe that the Palestinians invaded Israel? Do those who elect the rulers of the USA who commit massacres in other countries, who barbarically terrorize innocent people, have no responsibility? For them one has to questions the concept of ‘innocent citizen’. Why are the peoples of the world subject to dozens of oppressions and barbarities? Is it not with the passive approval of those they say are innocent? If that is so, then the concept of innocence needs to be interrogated. 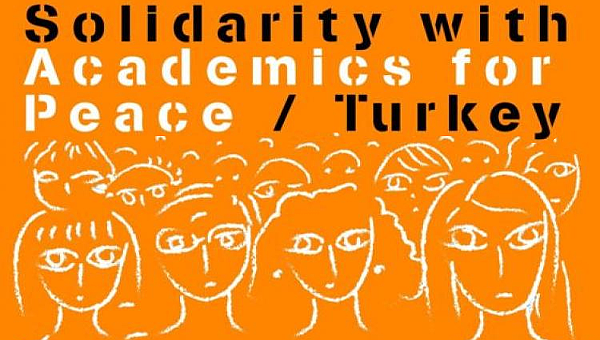 To be informed about future solidarity actions, contact solidarityacademics@gmail.com. For a list of concrete ways academics can take action, see blog.apaonline.org. For information about freezing academic collaborations, see academicboycottofturkey.wordpress.com. For a list of complicit institutions, see academicboycottofturkey.wordpress.com. Saint Augustine, La Cité de Dieu , Livre, IV, s. 4. UN (A/RES/42/159), Measures to prevent international terrorism. Fikret Başkaya is the chairman and lecturer at Özgür University.